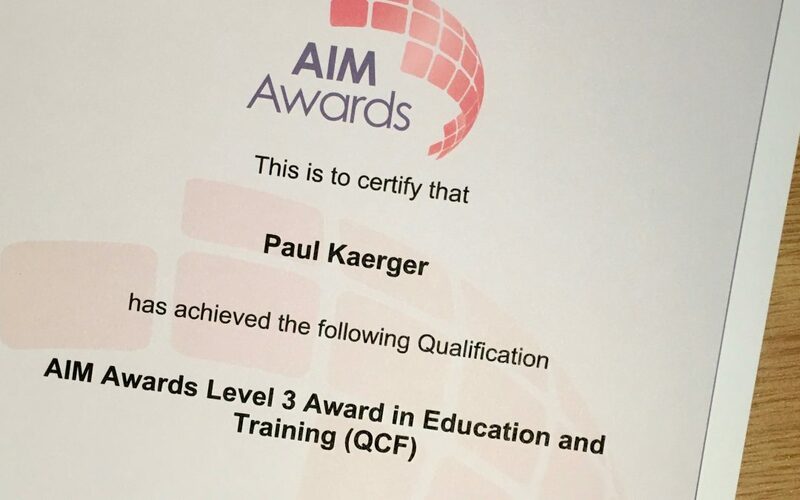 I am delighted to announce that I have passed my AIM Awards Level 3 Qualification in Training and Education. It helped me re-evaluate how I tailor courses for varying learning needs as well as understanding accreditation in greater detail. A huge thank you to Chris Harris of KC Jones for her help and support. So there it is, I have a certificate to show that I can design and deliver training, I’m very happy!